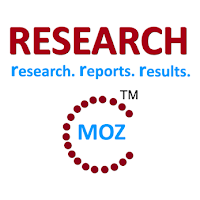 ResearchMoz.com includes new market research report " China Currency Sorter Industry Report, 2015: Market Size, Shares, Growth, Analysis, Trends And Forecast" to its huge collection of research reports. The development of currency sorter is now pacing up in China, with about 15%-20% of bank outlets having installed currency sorters as a whole. In 2014, banknote sorter sales in China hit RMB12.428 billion, rising by about 65% on a year-on-year basis. With substitution of small banknote sorter for low-end financial tools like currency counting machine and currency detector and bank’s new procurement, the Chinese small banknote sorter market has maintained a breakneck growth rate, registering sales of RMB4.53 billion throughout 2014, up roughly 69% from a year earlier, higher than overall growth rate of banknote sorter market. Seen from competition in Chinese market, since 2014, foreign companies encountered shrinkage in market share and a slow growth in performance, while domestic major counterparts saw rapid expansion in market share, largely due to obvious advantages of homegrown brands in banknote adaptability, service and price with gradual maturity of small and medium-sized banknote sorter technology. As a global representative small and medium-sized banknote sorter company, Japanese GLORY has been repeatedly shortlisted for biddings held by head offices of domestic Chinese banks in China. However, its share in the Chinese small banknote sorter market has kept declining in recent years, from 40% in 2012 to 20%-30% in 2014. The company’s direct-selling revenue from China fell by 6.5% year on year to JPY11.9 billion in 2014. Local Chinese financial tool companies have seen rapid expansion in currency sorter business over the last two years. In 2014, Liaoning Julong Financial Equipment Corp. recorded sales of RMB872 million from currency sorter business, up 36.68% from a year earlier, accounting for 78.04% of its revenue; GRG Banking Equipment Co., Ltd. reported sales of RMB181.4 million from currency sorter business, soaring by 145.95% from a year before, making up 5.76% of its revenue. Since 2014, financial tool makers, while developing their business, started to make inroads into financial service outsourcing field to expand financial services industry chain. The representative players include Liaoning Julong Financial Equipment Corp., GRG Banking Equipment Co., Ltd., and Hebei Huijin Electromechanical Co., Ltd.